The Kalahari is sometimes described as "the greatest mantle of sand on earth". It is vast, stretching from South Africa to Gabon, but the heart of the Kalahari lies in Botswana, and is comprised of some of the most scenically beautiful and game-rich areas in Africa. This exclusive safari incorporates the three major wildlife ecosystems in Botswana, highlighting the incredible diversity and unspoiled beauty of the Kalahari - from the legendary Deception Valley region of the Central Kalahari Game Reserve, to the spectacular Okavango Delta, and the wildlife-rich Chobe/Linyanti ecosystem. Guests will have the opportunity to participate in the full spectrum of Botswana safari activities, including game-drives in open safari vehicles, night drives, walking, boating, and mekoro (dug out canoe) excursions. The safari ends with two nights in Victoria Falls, one of the Seven Natural Wonders of the World. Accommodation is in luxury permanent tented camps throughout, and all inter-camp transfers are flown in light charter aircraft. Departures are daily, based on availability, and there is no minimum group size. On arrival in Maun, you will be met and transferred by light aircraft to Kalahari Plains Camp, located in the Central Kalahari Game Reserve. 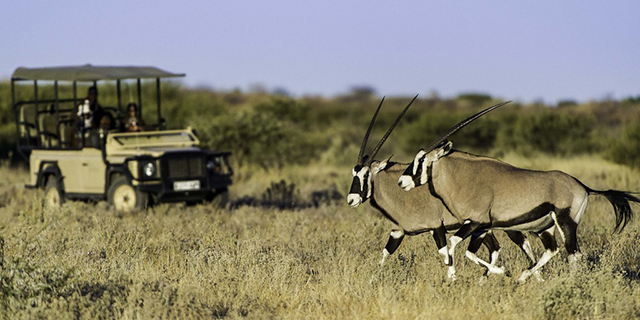 Spend two nights at Kalahari Plains Camp on a fully inclusive basis. At over 12 million acres in size, the Central Kalahari is one of the largest and most unspoiled Game Reserves in the world. Although it is a very dry and apparently inhospitable environment, the Kalahari supports surprisingly large volumes of wildlife. The Reserve's unique geomorphology facilitates a migration cycle that sees animals concentrating and dispersing in sync with the annual rainfall patterns. During the "green season" (December through April), when the Kalahari receives its meagre rainfall, large herds of grazers migrate to the north of the Reserve where they concentrate along the fossilized riverbeds and pans of the Deception Valley ecosystem. Lush, nutrient rich grass attracts thousands of springbuck, oryx, and black wildebeest - these in turn are followed by predators, and the Deception Valley area during this time frame offers some of the best lion and cheetah viewing in Botswana. Today you will be collected from Kalahari Plains Camp and transferred by light aircraft to Little Vumbura Camp, in the heart of the Okavango Delta. Spend three nights at Little Vumbura on a fully inclusive basis. 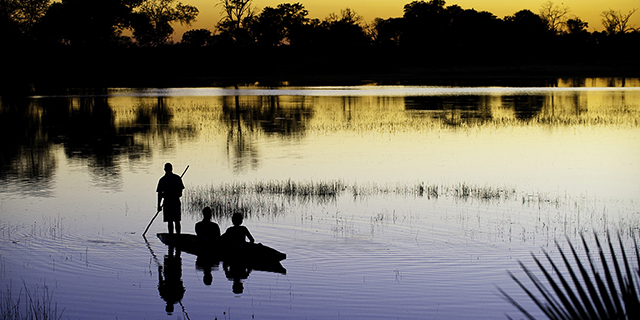 The Okavango Delta is the world's largest inland delta, an enormous oasis in the middle of the great Kalahari Desert. The 'Delta' consists of roughly 6,000 square miles - an area larger than the State of Connecticut - of intricate waterways and reed-lined channels interspersed with game-rich islands, creating a diverse ecosystem that supports the greatest concentration of wildlife in Africa. Little Vumbura is located on one of the most diverse concessions in Botswana, featuring the full spectrum of Delta habitat types, and providing an ideal year-round base from which to explore the beauty and complexity of the "Jewel of the Kalahari". After your morning activity, you will be collected from your Okavango Delta camp and transferred by light aircraft to Duma Tau Camp Camp located on the Linyanti Private Reserve, adjoining Chobe National Park. Spend three nights at Duma Tau on a fully inclusive basis. 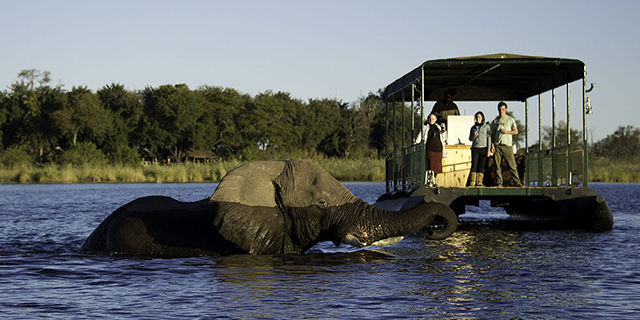 Botswana's vast Chobe eco-system is one of the most fecund and scenic in Africa. Watered by the perennial Chobe, Linyanti, and Kwando Rivers, this region hosts most of Africa's big game species in high concentrations; what the area is perhaps most famous for, however, is its huge population of elephants - estimated to be over 45,000 in number. At the peak of the dry season (July through October) these elephants congregate in large herds along the perennial rivers. During the 'green season' months of December through March they disperse into the endless mopane forest, and general game and predators become the focus of the Greater Chobe Ecosystem. Today you will be collected from Duma Tau Camp and transferred by light aircraft to Kasane Airport. From Kasane you will continue by light aircraft to Livingstone, and thence by vehicle to Toka Leya Camp. 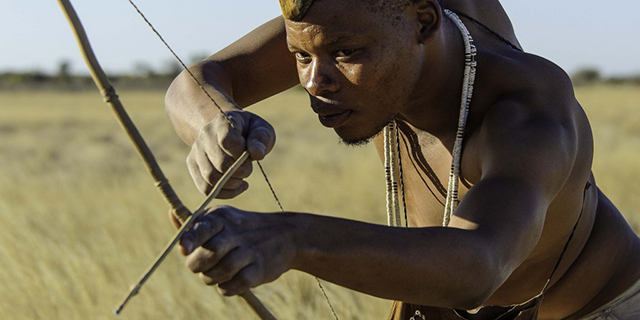 Spend two nights at Toka Leya Camp on a fully inclusive basis. Considered one of the world's greatest natural wonders, the Victoria Falls are over a mile wide and 350 feet deep. At peak flow, some 130 million gallons of water from the Zambezi River cascade over this chasm every minute, making it the largest body of falling water on earth. Toka Leya enjoys a scenic location on a private stretch of the Zambezi River, within the Mosi-oa-Tunya National Park. In addition to guided tours of the Falls, Toka Leya offers boating excursions on the Zambezi River, game-drives in the Mosi-oa-Tunya National Park, and visits to a local village for insight into rural African culture. Today you will be collected from Toka Leya and transferred by vehicle to Livingstone Airport, where the safari ends. Accommodation on a sharing basis, all meals and drinks (except premium brands), all excursions related to the safari, services of a guide at each camp, all park fees, laundry, all internal charters and transfers as described in the itinerary. Scheduled flights to and from the starting and finishing points of the safari, visas, travel insurance, all relevant entry and departure taxes (Zambian visa fee - currently $50 per person for a single entry and $80 per person for a double and $30 Zambian departure tax), gratuities, optional extra activities, all personal purchases (incl. curios, telephone calls, etc. ), pre and post safari accommodation, meals, or tours.